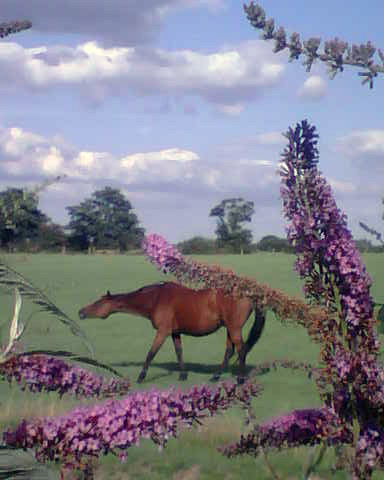 I have the privilege of living next to horse grazing land. This is taken from my garden. At all times of the year this garden is my living room.